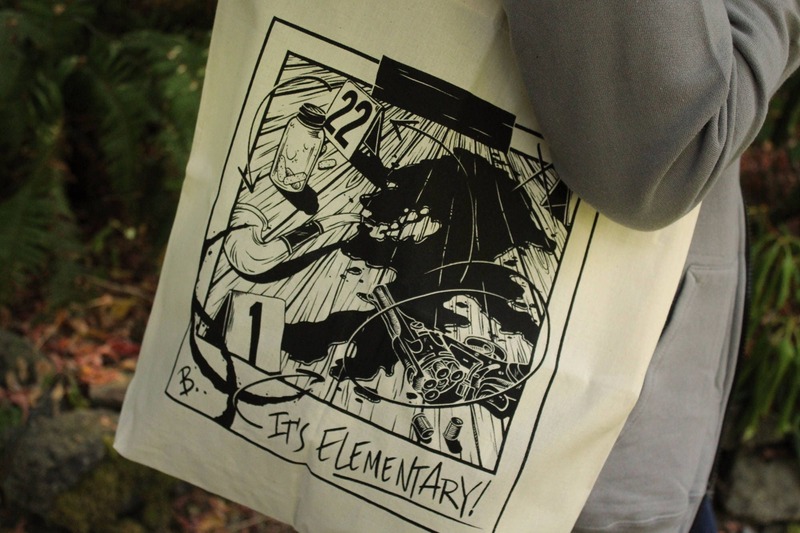 Inspired by the classics, this Sherlock Homes tote bag is perfect for carrying everything you need when the game is afoot. 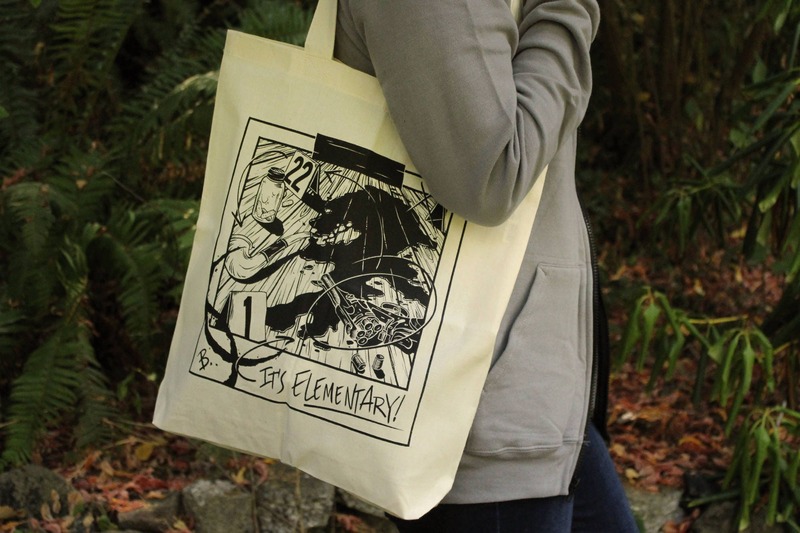 These lightweight cotton Sherlock tote bags are 15x16", made from 100% cotton and printed with earth friendly water-based ink. Wash in cold water and lay flat to dry. 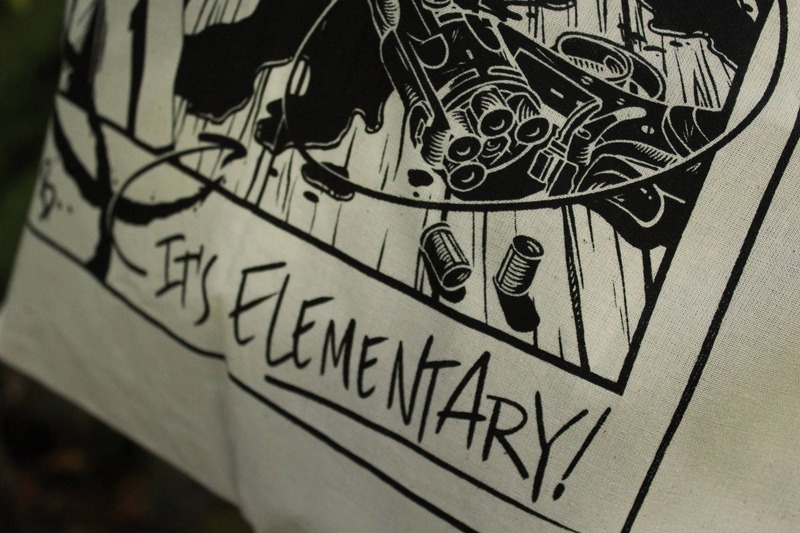 Hand printed with shimmering brown ink.